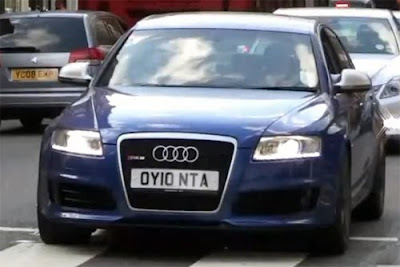 Spotted on a London street littered with supercars, an extra special Audi RS6 caught the attention of famed YouTube car-spotter, NM2255. While the average onlooker may focus their gaze on the two Lamborghinis seen parked in the background, this videographer was keen enough to notice three magical letters branded on this RS6 - MTM. Despite being confined to snarling midday traffic, the driver still managed to squeeze out a few revs and brief accelerations for the camera, releasing an exhaust note that we can only describe as euphoric. Athough the video is titled "Audi RS6 MTM Clubsport," the visible rear seats and lack of roll-cage implies that this is not a Clubsport model. However, that certainly does not detract from the car's rarity or performance by any means, MTM's C6 Audi RS6 tuning packages range from 702 to 742 horsepower!